This is the summary of consumer reviews for Razor A Kick Scooter. The BoolPool rating for this product is Excellent, with 4.70 stars, and the price range is $30-$45. Razor A Kick Scooter, an icon of American culture is made of aircraft-grade aluminum t-tube and deck and it comes in many colors like Clear/Black, Blue, Red, Green, Pink etc. The Razor-A Scooter is a fun ride for kids and teens. It has smooth-rolling wheels and a well made sturdy aluminum and steel frame. They can take quite a beating & hold up well. The scooter moves and works great when kicking along the sidewalk. It provides great turning, rear fender braking, and a very smooth ride. 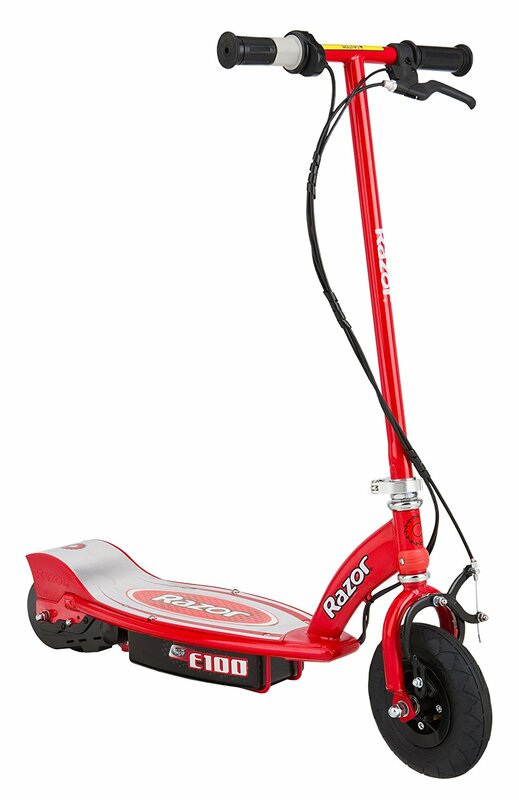 This original kick Razor scooter is low to the ground with a nice grip. Another nice feature is that the handle bars adjust to different heights allowing for taller or shorter riders. This kid's push scooter folds up for compact storage and transport. 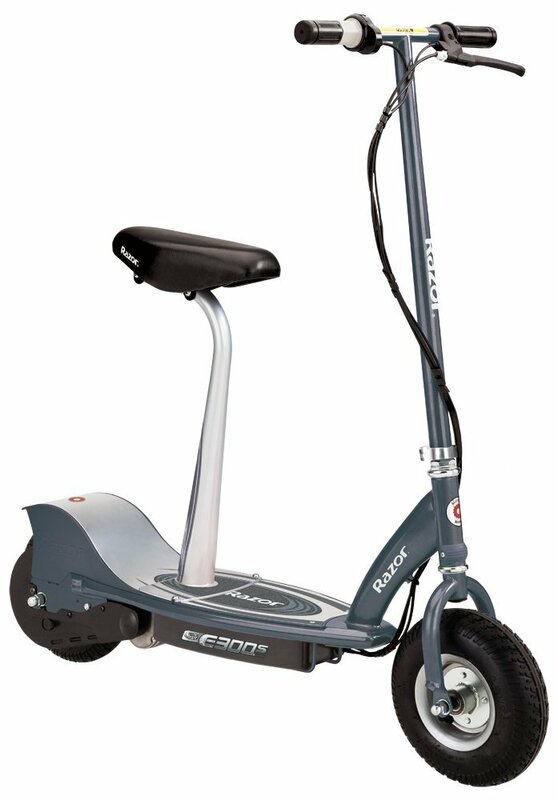 The scooter can be used as a mode of transportation for short distances. Some users complain that they may fall apart after few rides and chunks comes out of the tires. They tend to loose the handle grips after sometime. 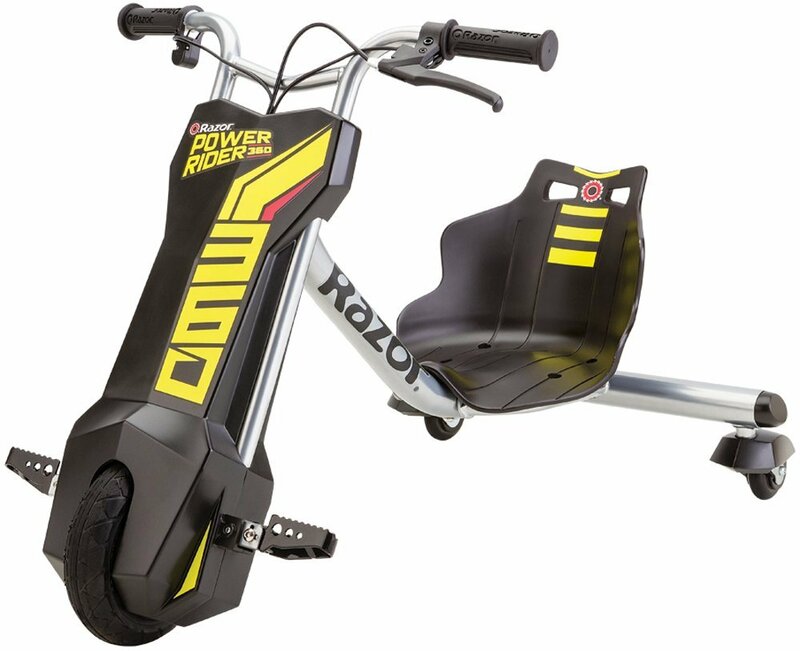 The Razor A kick scooter is a great ride-on toy that keeps the kids active. The children can easily learn to handle the scooter and have a great time getting around with it. 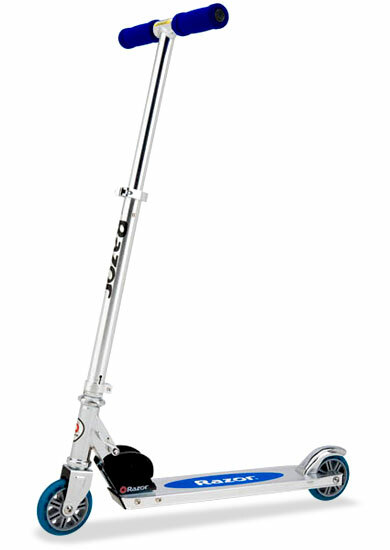 If your seriosly into scootering get the pro model and if you just hate wheelie bars like me get the A model.Razor Pro Model Kick Scooter. After using the same model for a couple years, my 10 yr old son received this model as a replacement. My son's first Razor developed unsolvable problems too, but only after a couple years of use. If you take the scooter to the skate park get the pro model instead. I've had mine for 3 years now, and the only problem is, the back wheel has chunks missing out of it. Not as light as other models. The tires are clearly different on this newer model...they're transluscent instead of opaque. If your kid is 6 or older, I'd consider the Cruiser model. Two years ago, I purchased a Razor Cruiser model for my older son and that one not only has larger wheels, but a MUCH larger platform (I can easily put both feet on that one). The scooter is extremely durable. 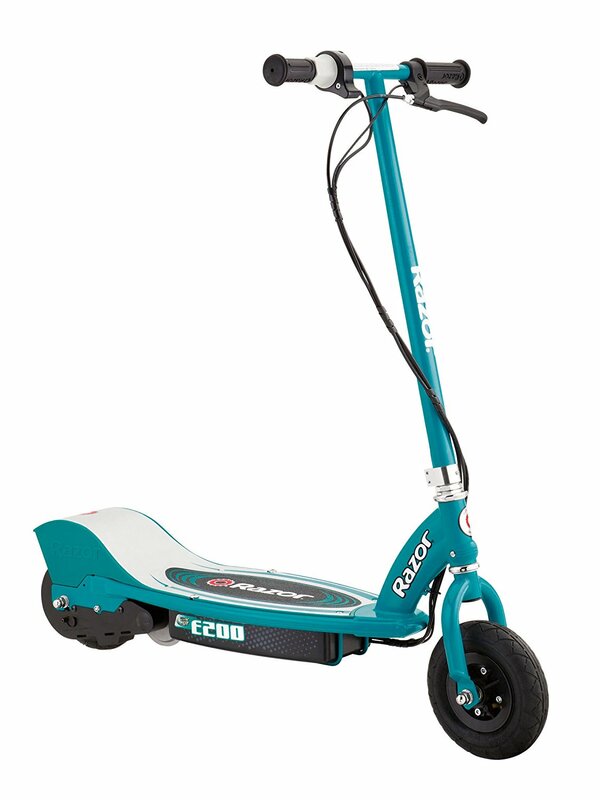 i love this scooter it durable and easy to use and lots of fun. We've found the razor scooter to be durable, well made, and just plain fun. This scooter is a ton of fun to ride on. She's had loads of fun on it, and it's a good, durable product at a reasonable price. The toy is, to me, very fun. The durability and quality of build seems to be at he same level and the fun factor is just as high. It's very easy to handle and is fun to zip along with. He rode it three times and the last time he came back with the lock to the handlebars broken off. My son had been wanting one of these for some time. I've bought this scooter for my niece who's used it exactly four times before parts start falling apart. I fell off some times but i'm geting use to it. I live in the city, so I walk all the time, and the scooter has given my feet a break! My son uses this scooter all the time, he's 11 years old and this's his second scooter and he just loves this one. We've retightened it numerous times but I think its just made for more moderate riders. 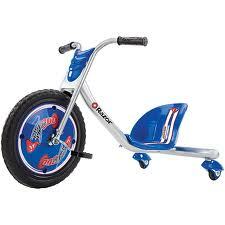 I recommend it not only to children as a toy, but to shorter (handle bars go to 35 inches in height) adults who enjoy walking but sometimes have time constraints that require a glide!. Turns out, my daughter rides it very well! It seems to be easy for her to fold and carry and the brake works very well. They're a lot of fun and hold up well. the brakes work very well and and very fast. This well build scooter could take a beating. It's a well made product that's very inexpensive. Even the finish has held up well. The scooters are well built and the girls have lots of fun on them. It's sturdy, very well made, and it boogies (as she says). Scooter ride is cool, smooth and fun Folds up well Inexpensive. It goes really fast.It jumps really high. This scooter is really fun! The scooter ride is really smooth! FAST transportation and really fun down hills. 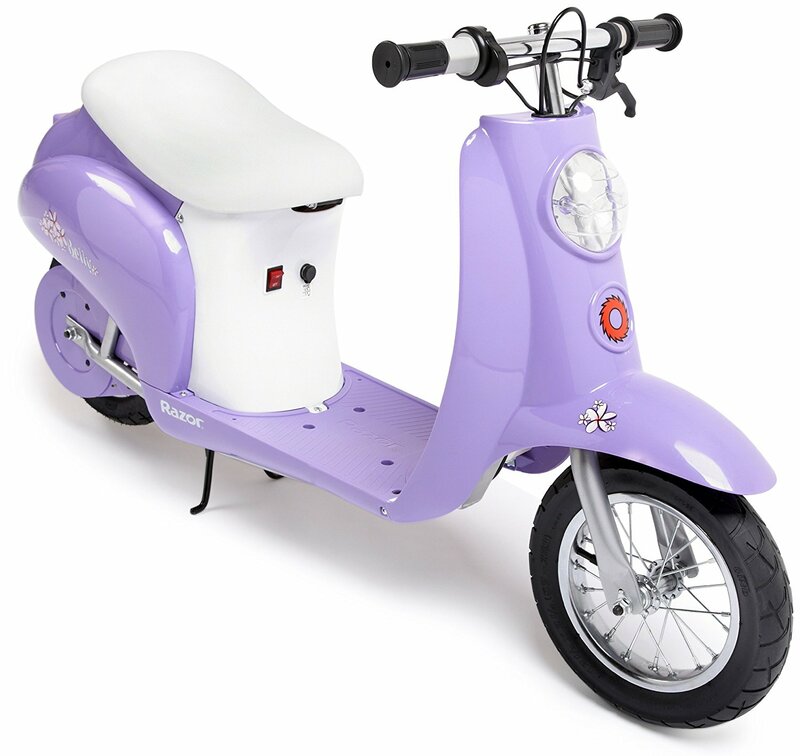 This's a really nice scooter and an awesome price. It's a really nicely built scooter and folds up well for taking in the car. 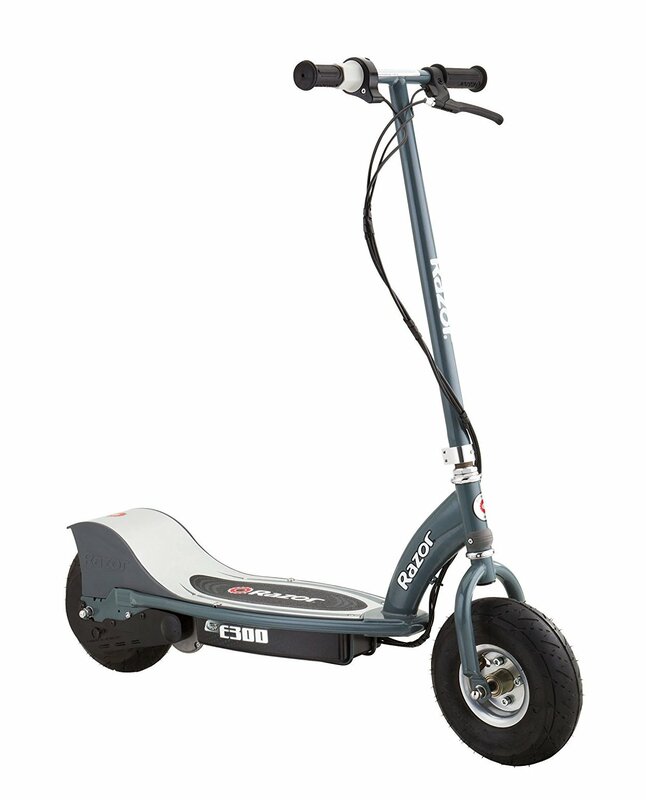 I really recommend this scooter. This's a really good scooter. My 10 year old son loves this scooter. They both love it and we love that it's height adjustable, so that it can grow with them for a long time. My young daughter loves her pink Razor. My 6 year old loves this scooter. She loved it and I got a big hug. A scooter is a definite great gift for the season, and my son loves this one. This scooter was a request by my son for his 10th birthday and he loves it. I bought the red scooter for my five year old nephew and he loves it! Bought this scooter for our 5 year old and she loves it. Even if you're riding in the driveway or riding with your friends on the street the scooter is fun to ride. The ride is ssooo smooth. My kids ride them all the time!. 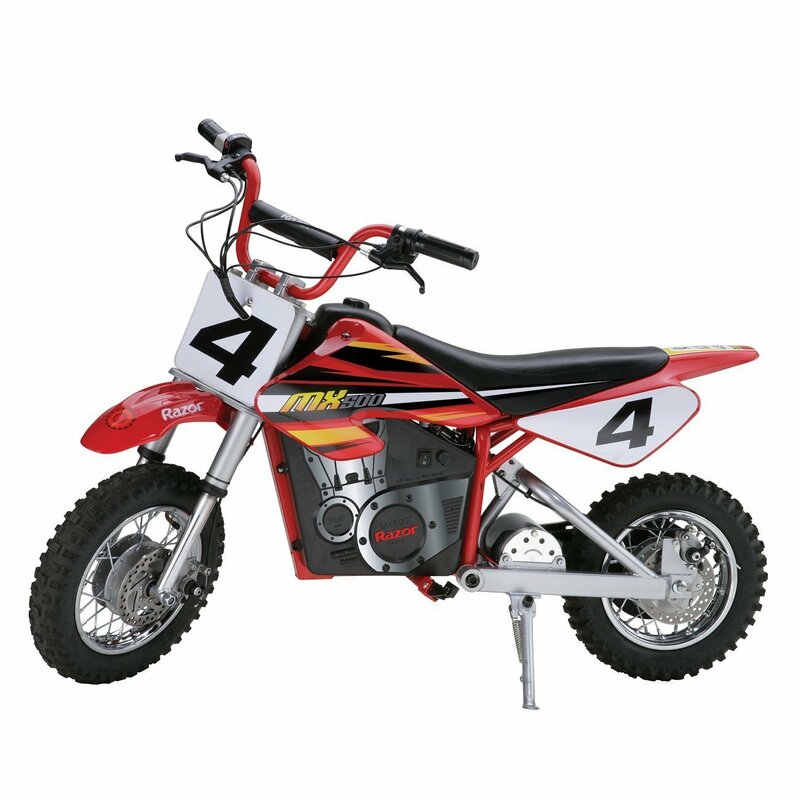 They'll look cool riding it, and have loads of fun riding them around the neighborhood with their friends. Rides and glides very nicely. My niece also mentioned how smooth the ride was but we'll be able to tell better when we go outside if the ride is smooth on pavement. She loves to ride it and even rides it before going to school. I got a nice new scooter and they ride smooth. Wheels glide smoothly Rides well Easy to learn how to handle and ride Kids can do stunt on this scooter. We bought our son a different brand scooter for Christmas and it's a horrible scooter, we should have bought him a Razor. The wheels glide smoothly, even my 4 year old can easily ride the scooter so I bought another one. And I bought a Magna scooter. It still works and rides well, but the handle padding is gone. My son bought a Razor on sale ... and has done all kinds of stunts on it without a bend, break or loose wheel. We bought two of our other sons the black ones, and now I wish I'd gotten different colors for them too. Each easily learned to handle and ride with very few mishaps. My kids love these scooters. Bought two of these for my kids (ages 11 & 7). * These scooters make good birthday presents for kids ( I'd recommend ages 6 - 11 but all kids are different). Last Christmas I bought 4 of these for my kids. Just make sure it's the right fit for your kids based upon age and height. We purchased two of the A2 scooters (purple and green), and our kids really love them. Overall, the kids love the scooters. All three of my kids love their scooters. So it's perfect for younger kids and kids who're lighter or have smaller hands and feet.